Well meaning members of the public and grassroots members of the party have continued to wonder when it will all end. Sympathetic columnists continue to put some sense into our heads, while others continue to deride us. I am sure that a large number of the public, the majority of our leadership of whatever group, is aware of the tragic situation and is anxious for a solution to what is not even an intractable problem. What is needed is a catalyst to set the machinery in motion that can resolve the issue. Who better to do this, than our own Peter Tucker – a committed and dedicated member of the SLPP since its foundation. Dr. Peter Tucker was in the country recently, and held a series of meetings with stakeholders. They included the current national chairman and Leader – Alhajie Chief Somano Karpen, together with members of his executive committee. He met with those that we now refer to as the aggrieved group and ordinary party members, all of them stakeholders in their own right. And like the educated man that he is, and I don’t mean “Book man” – the doctor has seized the situation. He has not condemned or praised anyone. But he has suggested alternatives to the current impasse. They are practical and sensible suggestions, which if adopted, and I hope that all men and women of goodwill – men and women who belong to our great ‘TORKPOI’ family, would consider seriously and positively. They are suggestions which are meant to move us forward from the name calling, finger pointing and blame game, to our rightful place as the premier political party that has had two vital elections stolen from them, including our unsuccessful attempts to get justice. The injustice has included the giving away of two of our legitimately won seats with absolute majorities to the ruling party. Dr. Bu-Boakai Jabbie (Photo) has circulated a memorandum in which he suggested the withdrawal of all pending intra-party cases from the courts, and that a serious effort be made to arrive at amicable agreements which is the way of our party. These suggestions and efforts, may be our last opportunity to take the political advantage of the current state of peoples’ feelings, and move SLPP closer to victory in 2018. The emphasis is on men and women of goodwill, from all sections and artificial groups. Two weeks ago, the chairman of the Kailahun district branch of the SLPP party and some of his members, had a long and frank meeting with Alpha Timbo in Pendembu. Other combatants are speaking of dialogue, so what is holding us up? 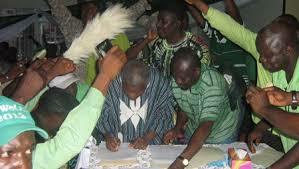 Among the many successful agents of good governance that the SLPP government of President Tejan-Kabbah created while in office, is the National Procurement agency that was meant to regularise the procurement of materials and essential services for the government. It would appear from some of the stories doing the rounds, that the authority is being ignored in many government transactions. I shall wait to see how my nephew deals with the current Toyota scandal. My brother, Yankuba, I appreciate the insight but can we all go past this and look at the future. I honestly believe that this squabbling amongst party members is too old and is beginning to have a pungent smell. I dare say that if the current impasse is to continue, it has the propensity to relegate our great party to the dustbin. It is not as if the APC Party is immune to internal conflicts, however, they always find a way to solve theirs amicably. Why is it that we are always so stuck or bull headed to deal with our own internal strife? Is it because our individualism has blinded us away from what the party actually represents, which is a better Sierra Leone? Mr Kaikai, peace and unity of purpose is strength, but while this is crucial and in urgent need, we must never forget that wrongs that have been done must be rectified as an essential and prerequisite component in promoting and facilitating genuine peace. We have an NEC that is not representative of the various strands of opinion in the party as it is predominantly pa-o-pas who are fanatical in their support for a failed presidential candidate Julius Bio, who they say is the most popular politician. Such claim is not supported by facts, logic and election statistics, including the 38 percent of 2011 flagbearer delegates votes. If we really want peace, these imbalances in the NEC must be balanced. Secondly, the party’s image has been seriously damaged by violence, indicipline, and disregard for the constitution. Those responsible or on whose behalf these shameful behaviours were carried, must take responsibility and apologise to the party. I think this could set the scene for amicable and meaningful dialogue. Thank you. The problem with SLPP these days are matters of credibility and whether those actors at the helm of the party are part of the solution. Lawyer Jabbi is circulating documents calling for the withdrawal of all court cases. 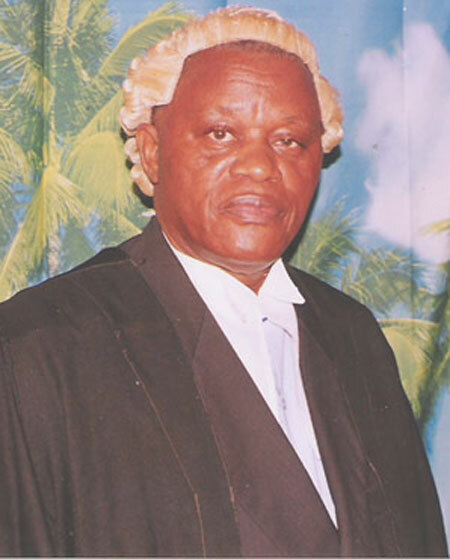 But readers should be reminded that Jabbi was the one who took SLPP to court in 2010, and secured an injunction against the holding of the flagbearer election at the schedule time. Despite pleas from party stakeholders, he went ahead. 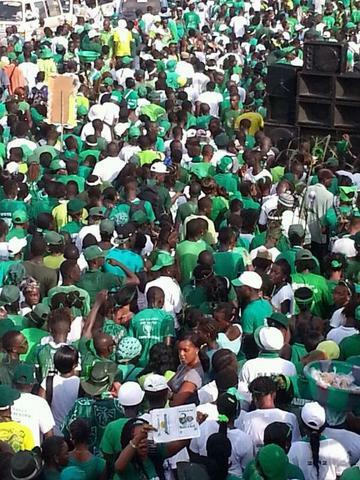 Many diasporans, including me, had travelled to Sierra Leone to partake in the flagbearer elections. I returned back to UK because the injunction was granted, resulting in not witnessing the election; and so were many SLPPs such as Dr. Marda Mustapha who returned back to the USA. This was financially costly for us as diasporans. Bubuake Jabbi is a pa-o-pa. The other issue which Dr. Banya mentioned is with regards the two SLPP constituencies which were annulled, but replaced by the losing APC candidates who are now representing seats they did not win. Constituency 5 comes to mind. This was the constituency which Dr. Banya contested as APC against SLPP Dauda Sandy. SLPP won the seat, but the APC of which Dr. Banya was a member, arrested the winning SLPP candidate Sandy, locked him up at Pademba road which prevented Sandy from attending parliamentary session until the 90 days for absentee rules expired. APC Banya who was soundly beaten by SLPP was brought into parliament to represent this same constituency 5, which he did not win. This is history repeating itself. Frankly, it is time the SLPP invite the diasporan SLPP party supporters to takeover and sort things out.